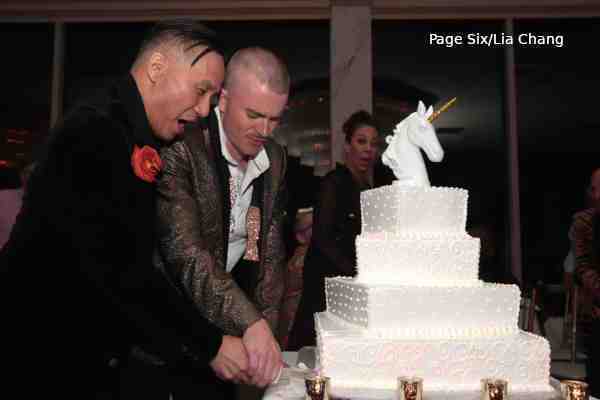 Out actor BD Wong married Sunday in Brooklyn. Wong and Richert John Frederickson Schnorr have been dating since 2010, according to a wedding announcement published in The New York Times. Wong, 57, is best known for his Tony-winning performance in M. Butterfly and several television roles, including his portrayal of Dr. George Huang on NBC's Law & Order: Special Victims Unit, Father Ray Mukada on HBO's Oz, and Whiterose/Minister Andrew Zhang on USA Network's Mr. Robot. On the big screen, he played Dr. Henry Wu in the Jurassic Park franchise and Ngapoi Ngawang Jigme in Seven Years in Tibet. Schnorr, 35, is the director of digital media for the New York Public Library. The Times' announcement stated that the couple met at a singles event in New York.